Fully autonomous vehicles of the future will depend on a combination of different sensing technologies – advanced vision systems, radar, and light imaging, detection, and ranging (LiDAR). 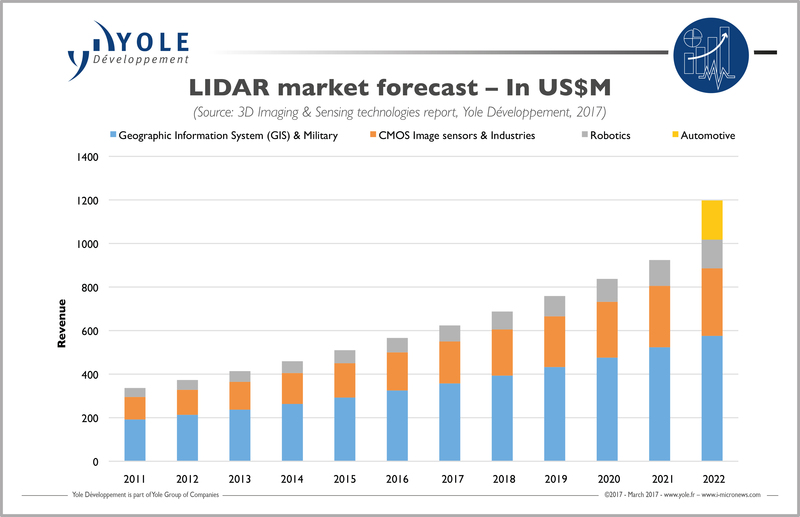 Of the three, LiDAR is now the costliest part of that equation, and there are worldwide efforts to bring down those costs. Mechanical LiDAR units are currently available, priced in the hundreds of dollars. Those figures have to come down to make the volume adoption of the technology possible in the cost-conscious automotive industry. Along with the cost factor, LiDAR vendors must be able to show the high performance and reliability of their products. It’s not good enough to have 99% reliability for advanced driver-assistance systems and automated driving. In the safety-critical aspects of automotive manufacturing, the equipment has to demonstrate the “six nines” – 99.9999% reliability. The importance of advanced technology in automotive vehicles cannot be overstated. Intel’s proposed $15.3 billion acquisition of Mobileye, a vision systems vendor based in Israel, is a case in point. The chipmaker and Mobileye teamed up last year with BMW to collaborate on autonomous-vehicle technology. LiDAR is a key component of that technology, and investors are opening their wallets for startups working on this technology. Blue-chip investors last month put $10 million into TetraVue, a LiDAR startup in Carlsbad, Calif. Investors include Foxconn, Nautilus Venture Partners, Robert Bosch Venture Capital, and Samsung Catalyst Fund. Autonomic, a self-driving software startup located in Palo Alto, Calif., has raised around $11 million from Ford Motor and Social Capital. The four co-founders previously worked at Pivotal Labs. Technavio forecasts the worldwide automotive LiDAR sensors market will see a compound annual growth rate of more than 34% up to 2020. The market research firm estimates the automotive LiDAR market was worth $61.61 million in 2015, with most of the spending in the Europe/Middle East/Africa region and in the Americas. 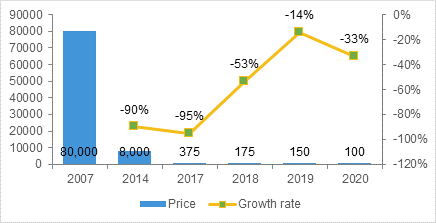 The company has a report available, Global Automotive LiDAR Sensors Market 2016-2020, published last June, and it will be updating that report during the third quarter of this year. “LiDAR technology in automotive industry is witnessing rapid evolution, both in terms of technical advancement and market dynamics,” says Siddharth Jaiswal, one of Technavio’s lead industry analysts for automotive electronics research. 2. Compact design. Velodyne’s first LiDAR sensor, released in 2005 was so big and heavy—it weighed about 5 kilograms—that it had to be placed on the roof of the car. The weight is now less than a kilogram, and a solid-state version is compact enough to fit inside the car. 3. Sensor fusion. The technological trend of combining imaging sensors with LiDAR has been a popular technological research topic for over a decade. The data output becomes more reliable if the fusion results in confirming the output of one sensor by validating against the other sensor type. But if the validation doesn’t prove the results of one sensor against another, it makes the system unreliable. 4. Use of LiDAR beyond automobiles in road asset management. Traffic Speed Road Assessment Condition Surveys (TRACS) were introduced on the trunk road network in England in 2000. The U.K. Highways Agency conducts routine automated surveys of trunk road pavement surface condition under the TRACS survey. LiDAR is used to measure distances from the sensor head, and potentially can deliver measurements of objects much further from the survey vehicle than TRACS surveys. Moreover, LiDAR can be developed using mature semiconductor process technologies. technologies, and the solid-state version has no moving parts. “LiDAR is perceived as a key technology for accurate 3D mapping, vehicle awareness, navigation,” said Pierre Cambou, imaging activity leader at Yole Développement. “First there is a race for performance and durability, through the use of short-wave infrared (SWIR) diodes, avalanche photodiode or single-photon avalanche diode. There is also a huge effort in cost reduction. This is mainly trying to make the LiDAR solid-state, through steerable lasers, MEMS micromirrors, or detector arrays. Amin Kashi, director of ADAS and Automated Driving at Mentor Graphics, a Siemens business, said that interest in LiDAR began more than a decade ago due to the high cost of radar sensors at the time, which cost about $500 apiece. LiDAR sensors were extremely expensive then, at up to $260,000 per unit. That includes companies such as Continental and TRW. Kashi previously worked at Quanergy Systems, which developed a mechanical LiDAR sensor and is working on a phased-array LiDAR sensor. Quanergy’s solid-state LiDAR sensor goes for about $250. Cameras, LiDAR, and radar are complementary to each other, providing redundancy for the deficiencies of each technology, he said. That’s critical because LiDAR can be less effective in fog and low clouds, dust storms, heavy rain, and heavy snow. Making comparisons between the various LiDAR technologies isn’t always straightforward, though, and it’s not made any easier as competition heats up. Quanergy last year received $90 million in Series B funding, bringing the total of its private funding to about $150 million and valuing the company at more than $1 billion. Delphi Automotive, GP Capital, Motus Ventures, Samsung Ventures, and Sensata Technologies invested in the Series B round. Some companies assert that cameras and radar are sufficient for automated driving. Geuens doesn’t believe that. He said that driving a car involves a 3D world, and LiDAR is essential for sensing in all directions. One big issue in the industry is the push-and-pull between the OEMs and the Tier 1s. OEMs traditionally expect Tier 1s to bring them the advanced technology they need, while Tier 1 companies need proven technology before presenting it to the OEMs. According to numerous industry insiders, the vendors of automotive components don’t want to spend massively on R&D without OEM commitments to volume purchase orders. Intel’s pending purchase of Mobileye is “a big step forward” in bringing high-technology products to the automotive industry, Geuens said. Five to 10 years ago, LiDAR was primarily used for architectural, mapping, and military purposes. The units were typically huge, unwieldly devices with many mirrors. LiDAR’s disadvantage are the echoes coming back to the sensor, noted Deschênes, who favors what he calls more intelligent signal processing. He predicts there will be five levels of autonomous driving, with fully autonomous vehicles rolling out in 2025 and widespread adoption of the technology in 2030. Put in perspective, LiDAR is an well-known technology that has finally found a lucrative market application. First of two parts: Vision processing is a specialized design task, requiring dedicated circuitry to achieve low power and latency. Advanced driver assistance requires a careful and complex balance of hardware, software and security. Self-driving cars and other uses call for more sophisticated vision systems. Challenges grow for classifying and tagging huge volumes of data from connected cars. LIDAR’s are going to take the same path as RADAR’s. RADAR’s have stabilized around AESA RADAR’s which use phased array signal processing technologies for sending/receiving radio beams in all directions (with its direction and reception controlled using some DSP or computational engine). The AESA RADAR technology variants are used on almost all planes, surveillance aircraft, boats and even drones in almost all parts of the world (with various countries trying to improve their own variants). Also to note is that AESA is a totally solid state technology. Quanergy with its Solid State LIDAR uses an identical method to AESA RADAR’s, with the difference, that the beam is optical rather than a radio beam. This Solid State LIDAR technology will stabilize into its own variants for cars in the near future (lookout for Chinese Silicon vendors to suddenly jump into this market and lower costs). Roads are designed for eyes or cameras. Fully functioning L5 autonomy requires effective vision. LIDAR adds something. In a corporate decision process that doesn’t expect L5 autonomy for 5 years and has no practical standard for what is enough safety performance for release, LIDAR is baked in, even if its contribution is marginal. LIDAR is crippled in rain and snow so any system that’s reliant on it is limited. It’s not obvious that this leads to better overall outcomes if it trains systems on sensors with situationally limited use. Really? At which ONE frequency of light are you referring? Is Lidar limited to just ONE frequency? No.